Fondy Heating is proud to serve the Oakfield community! 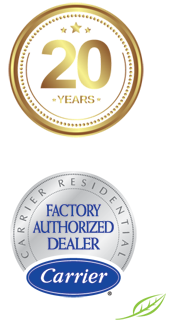 About Oakfield, WI - Happy to be your hometown Heating & Air Conditioning Contractor! Oakfield is a small village below Lake Winnebago in eastern Wisconsin. It is 60 miles north of Milwaukee and 80 miles south of Green Bay. Oakfield is estimated to be populated by around 1,000 people according to the United States Census Bureau. Oakfield is estimated to be the third largest village in Fond du Lac County. Individuals who visit Oakfield will discover a village that was established in the early 1800s. The village has remained a small community but is home to many modern-day facilities and amenities. In Oakfield are good schools, many churches, locally owned businesses, beautiful parks, and more. Also, the village is near many recreational opportunities. For example, the Wild Goose State Trail passes through Oakfield. The village is near many other opportunities like Lake Winnebago and Lake Michigan. In Oakfield, individuals enjoy life in a small Wisconsin village. Oakfield is in a region of the United States that experiences mild summer seasons and very cool winter seasons. During June, July, and August, the average daytime temperature highs range from the upper-70s to low-80s. Temperatures will rise to the upper-80s when heat waves pass through the village. In such circumstances, professional HVAC technicians recommend Oakfield residents have central air conditioning units installed in their homes. The systems provide sufficient cooling power to Oakfield homes and ensure residents stay cool and comfortable when temperatures rise. Oakfield residents should have heating systems installed in their homes as well. Oakfield is not immune to harsh weather conditions during the months of winter. The average daytime temperature highs range from the upper-20s to low-30s during December, January, and February. Also, snowfall is common in Oakfield. The village is estimated to receive around 40 inches of snow per year. When harsh weather conditions are present in Oakfield, heating pumps provide sufficient heating power to homes in the village and can literally be lifesavers to individuals living in Oakfield.